There are countless logistics and unspoken rules when it comes to selecting your wedding party. Perhaps your man’s sister wants in, but you’ve never really clicked, or your girlfriends are chomping at the bit, but your sorority provided you with too many go-to girls. Or maybe you feel like you don’t want to put the burden on any of them. With a bit of guidance, we’ll help you figure out the solution and make the entire experience one that both you and your posse will adore. To get the scoop, we sat down with one of our Newport brides, Jamie, to get some insight on selecting your bridesmaids. She had her wedding last year at Regatta Place, which ran smoothly from bridal shower to honeymoon with the help of her six bridesmaids. As someone who has recently gone through the process, she had some helpful tips! “For me, dependability was very important, ” says Jamie. Above all else, you need to know you can count on this person. Someone who is flaky or unreliable might be a fun, spontaneous friend, but maybe they’re not the right person to entrust with your wedding. 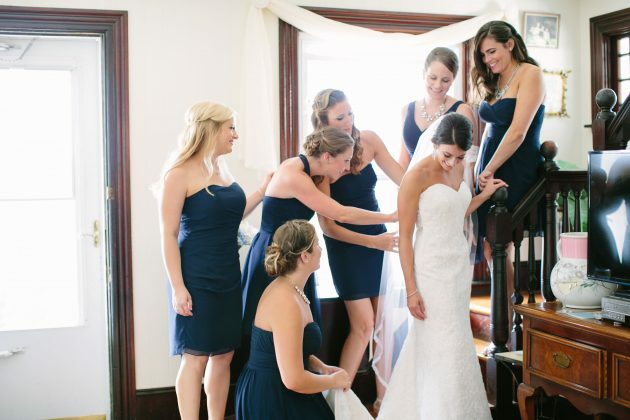 “A maid of honor should also be one to help get the party started on the wedding day! Being outgoing and enthusiastic really helps to set the mood of the reception!” says Jamie. Someone has to bring the champagne when you’re getting ready and plan a blow out bachelorette bash and bridal shower. This may not be the first quality that comes to mind, but someone who can relieve social pressures is always a smart choice and ensures that your guests will have an unforgettable night. 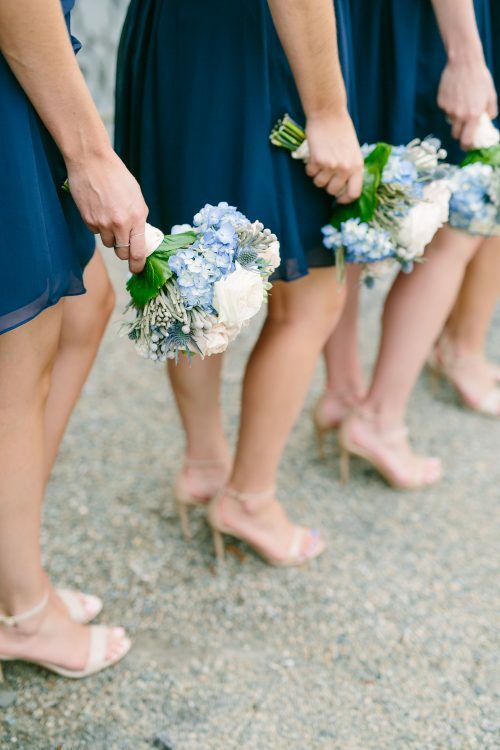 “I was planning my wedding from another state, so it was important to have a maid of honor that could step into the planning process on my behalf and work with my vendors to ensure my vision was carried out,” says Jamie. You want your maid of honor to actually be here. 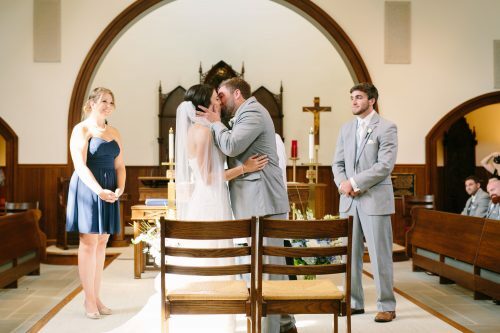 Unfortunately sometimes friendships are from afar, and while they may be resilient, it won’t be very helpful to have someone plan your wedding who can’t be there to help you make decisions in person and connect the bridal party. “I think a maid of honor should be someone who has always been a supportive, caring, and loving friend,” explains Jamie. There you have it, when it comes down to it, the most important qualities are the core values of friendship. What made you choose your maid of honor? Tell us in the comments! See Jamie’s real wedding story here.